Regulation (EC) No 479/2008 amended the previous wine-sector arrangements, as laid down in Council Regulation (EC) No 1493/1999 of 17 May 1999 on the common organisation of the market in wine (2), and repealed Council Regulation (EEC) No 2392/86 of 24 July 1986 establishing the Community vineyard register (3) with effect from 1 August 2009. The compulsory information and the provisions relating to the updating and monitoring of the wine register are at present laid down in Regulation (EEC) No 2392/86 and the detailed implementing rules relating to the keeping of the vineyard register are laid down in Commission Regulation (EEC) No 649/87 (4). Article 108 of Regulation (EC) No 479/2008 makes provision for certain Member States to keep a vineyard register containing up-to-date information about production potential. Regulation (EEC) No 649/87 should therefore be repealed and detailed implementing rules in respect of the vineyard register should be adopted. The main objectives of the vineyard register are the monitoring and verification of production potential. Pursuant to Article 116 of Regulation (EC) No 479/2008, Member States are required to ensure that those administration and control procedures which relate to areas are compatible with the Integrated Administration and Control System (IACS). In particular, the identification of the wine producers and the vineyard parcels cultivated must be compatible with the IACS. To avoid excessive administrative burdens without undermining the objectives of the vineyard register, the gathering of information from producers with a very limited production should not be made compulsory. To ensure the practical use of the vineyard register, the information required in it should be consistent with the communications required pursuant to Title IV, production potential, of Commission Regulation (EC) No 555/2008 (5) laying down detailed rules for implementing Council Regulation (EC) No 479/2008 as regards support programmes, trade with third countries, production potential and on controls in the wine sector. To ensure consistency between the wine-growing data available, certain data collected within the framework of Council Regulation (EEC) No 357/79 of 5 February 1979 on statistical surveys of areas under vines (6) should be included in the vineyard register, and in particular the data concerning the year in which the vineyard parcel was planted. To ensure that the information contained in the vineyard register consistently tallies with the actual wine-growing situation, it should be constantly updated and regularly verified. Article 111 of Regulation (EC) No 479/2008 states that producers of grapes intended for winemaking and producers of must and wine must make harvest declarations each year in respect of the most recent harvest and that producers of wine and must and commercial operators other than retailers must declare their stocks each year. That Article also stipulates that the Member States may also require grape merchants to declare the quantities of grapes marketed. To facilitate the processing of data relating to declarations, each declaration presented in a competent administrative unit should be considered separately from any others that the same producer may have presented in other administrative units in the Member State. However, producers who may provide all the necessary information required in a single declaration of wine production need not make two declarations. Very small producers may be exempted from making declarations as their total production accounts for a very small percentage of Community production. Provision should also be made to require operators selling wine products before the dates specified for declarations to make declarations. In order to facilitate market management operations, a time limit should be laid down for making declarations. Since harvesting takes place at different times in different Member States, the deadlines for declarations by producers should be staggered. In order to facilitate the application of this Regulation, the particulars which must be given in the declarations should be laid down here in tabular form while the Member States should be allowed to decide on the form in which operators are to provide them. The use of computerised procedures is gradually replacing the manual input of data in the different areas of administrative activity. It should therefore also be possible to use computerised and electronic procedures for compulsory declarations. The Member States with a complete vineyard register should be allowed to use certain data, such as area. It is therefore desirable to exempt producers from declaring the area in some circumstances. Member States in which the area under vines does not exceed 500 hectares and wine production does not exceed 50 000 hectolitres should be empowered to exclude certain information from the declarations and exempt producers from submitting one or other declarations in circumstances to be determined. The dates by which the information gathered has to be centralised at national level should be adopted. Harvest and stock declarations submitted by the various parties concerned are currently the only means of properly knowing the quantities of wine produced and wine stocks. Appropriate steps therefore need to be taken to ensure that declarations are presented by the parties concerned and are complete and accurate by providing for penalties where declarations are not forthcoming or are false or incomplete when presented. For the same reason, it is essential that the dates by which the information gathered concerning the compulsory declarations has to be forwarded to the Commission, and the form that this forwarding must take should be adopted. Certain information must be available on the wine market to ensure that it can be monitored. In addition to the data provided in the summaries of the various declarations, information on wine supplies, utilisation and prices is essential. The Member States should therefore be required to gather this information and send it to the Commission on certain fixed dates. Certain Member States may be exempted from communicating prices as their total production accounts for a comparatively small percentage of Community production. Commission Regulation (EC) No 1282/2001 (7) laying down detailed rules as regards the gathering of information to identify wine products and to monitor the wine market should therefore be repealed. For the purposes of the single Community market, the authorities responsible for monitoring the holding and marketing of wine products should be provided with the necessary instruments for carrying out effective controls in accordance with uniform rules applicable throughout the Community. Pursuant to Article 112(1) of Regulation (EC) No 479/2008, wine products can be put into circulation within the Community only with an officially authorised accompanying document. Under Article 112(2) natural or legal persons who hold wine products are to be obliged to keep goods inwards and outwards registers in respect of those products. Progress on tax harmonisation was achieved by means of Council Directive 92/12/EEC of 25 February 1992 on the general arrangements for products subject to excise duty and on the holding, movement and monitoring of such goods (8). To establish uniform rules applicable within the Community and simplify administrative formalities for professionals and the general public, it is appropriate that documents accompanying consignments of wine products for the purposes of applying tax regulations should also be regarded as recognised accompanying documents. The carriage of wine products not subject to the abovementioned tax formalities and consignments of wine products from small producers should be accompanied by a document to enable the competent authorities to monitor the movement of such products. Any commercial document containing at least the details necessary for identifying the product and for tracking its movements may be recognized for that purpose. In order not to cause unnecessary administrative burdens for carriers, no accompanying document should be required for consignments of certain wine products transported over short distances or in small quantities in small containers. Paper documents are gradually being replaced as a result of the growing computerisation of operators’ administrative activities. It is therefore desirable to computerise the drawing-up and use of accompanying documents and registers as well. Supplementary documents, in particular export declarations, are required for exports of wine products in addition to the accompanying documents. Additional procedures should therefore be laid down for drawing up and validating these documents. The monitoring of wine products transported in bulk requires particular care since such products are more susceptible to fraudulent practices than are labelled, bottled products fitted with a non-reusable closing device. Additional information and prior validation of the accompanying document should be required in such cases. To facilitate controls by the competent authorities, a reference to document VI 1 should be required in the documents accompanying consignments of third-country products placed in free circulation. The abovementioned provisions concerning the drawing-up of accompanying administrative documents and the simplified accompanying document refer to rules on the certification of the origin and quality of certain types of wine. The rules for such certification should therefore be laid down. Rules must also be laid down for the certification of the origin of certain wines for carriage not subject to tax formalities, in particular for export. In order to simplify administrative formalities for individuals and to remove the burden of routine tasks from the competent authorities, provision should be made for the latter to authorise consignors fulfilling certain conditions to enter the wording certifying the origin of the wine in the accompanying document, without prejudice to completion of the relevant checks. Provision should be made for the measures to be taken by the competent authorities in the case of carriage by a consignor who has committed a serious offence or in the case of unlawful carriage, care being taken to ensure that the regularisation of such carriage does not delay transport unduly. In order to ensure that by consulting the registers the competent authorities are able effectively to monitor the movement and stocking of wine products, in particular in the course of cooperation between those authorities in the different Member States, the rules concerning the keeping of records should be harmonised at Community level. The obligations relating to registers may cause disproportionate administrative burdens for certain operators. Therefore, Member States should be able to exempt those producers from certain requirements. The substances used in certain oenological practices, especially enrichment, acidification and sweetening, are particularly open to the danger of fraudulent use. Records must therefore be kept concerning those substances to enable the competent authorities to supervise their movement and use. Monitoring of sparkling wines and liqueur wines requires special attention since other products are added to them. Supplementary information should therefore be provided in addition to the registers. The accompanying document for the carriage of wine products laid down by Community rules is a very useful source of information for the bodies responsible for ensuring compliance with Community and national rules in the wine sector. Member States should be allowed to lay down additional rules for the purpose of applying this Regulation for carriage beginning on their own territory. Article 18(1) of Commission Regulation (EEC) No 884/2001 of 24 April 2001 laying down detailed rules of application concerning the documents accompanying the carriage of wine products and the records to be kept in the wine sector (9), introduced the possibility for the Member States to lay down additional or specific provisions for the products in question in circulation on their territory. One provision permits the replacement of the indication of the mass of grape must by volume by the indication of density expressed in degrees Oechsle by 31 July 2010. This traditional practice is used mainly by small agricultural producers who still need several years to adopt the new rules on density. It is therefore appropriate to extend this derogation, while repealing Regulation (EC) No 884/2001. It is desirable that Member States communicate to the Commission the names and addresses of the bodies responsible for conferring the entitlement in respect of the accompanying documents and registers, so as to enable the Commission to forward this information to the other Member States. Provision should be made for resolving cases of obvious error, force majeure and other exceptional circumstances to ensure fair treatment of carriers. Rules for artificially created situations should be provided for in order to avoid any benefit being derived from such situations. This Title lays down detailed rules for applying Regulation (EC) No 479/2008 as regards the vineyard register. ‘abandoned wine-growing area’ shall mean the total area of land under vines which is no longer subjected to regular cultivation with a view to obtaining a marketable product. the compulsory declarations provided for in Title II. 2. The information relating to the characteristics of each vineyard parcel shall be shown separately in the holding file. However, when possible because of the uniform nature of the vineyard parcels, the information may relate to a set of several adjacent parcels or part(s) of adjacent parcel(s) provided that identification of each parcel is still guaranteed. 3. The vineyard register shall contain at least the information gathered in accordance with paragraph 1, the details and specifications of which are set down in Annex I to this Regulation. the information corresponding to subparagraphs (b) and (c) of paragraph (3) of point 1.2 in Annex I when the Member States are exempted from the classification of wine grape varieties under Article 24(2) of Regulation (EC) No 479/2008. Member States shall ensure that the data in the vineyard register are kept for as long as is necessary for the purposes of monitoring and verifying the measures to which they relate and in any event for at least five wine years following the wine year to which they relate. Member States shall ensure that the vineyard register is updated regularly as and when the information gathered becomes available. Member States shall, at least every five years, verify that the structural situation arising from the ‘wine grower’ and ‘production’ files corresponds to the actual situation in relation to each wine grower and any natural or legal person or group of such persons required to submit the production declaration laid down in Article 9. The files shall be adapted on the basis of that verification. This title concerns the detailed rules for implementing Regulation (EC) No 479/2008 as regards compulsory declarations and the gathering of information to monitor the wine market. ‘retailers’ shall mean any natural or legal persons or groups of such persons whose business activity includes the sale directly to the consumer of wine in small quantities, to be defined by each Member State, having regard to the special features of trade and distribution, but not those who use cellars equipped for storing and facilities for bottling wines in large quantities. 1. Harvesters shall submit each year to the competent authorities in the Member States a harvest declaration for the administrative unit specified, containing at least the information specified in Annex II and, where appropriate, Annex III. Member States may authorise the submission of one declaration per holding. harvesters whose holdings comprise less than 0,1 hectares of area under vines and who deliver their entire harvested production to a cooperative winery or group to which they belong or with which they are associated. the size and location of the areas under vines concerned. The cooperative winery or group shall check the accuracy of the data contained in this declaration against the information at its disposal. harvesters associated with or belonging to a cooperative winery or group who deliver the whole of their harvest to that cooperative winery or group as grapes and/or must, including the harvesters referred to in Article 9(3). 1. Natural or legal persons or groups of such persons, including cooperative wineries, who have produced wine and/or must from the current harvest, shall submit each year to the competent authorities designated by the Member States a production declaration containing at least the information specified in Annex IV. Member States may authorise the submission of one declaration per winemaking establishment. 2. The harvesters referred to in Article 8(2) and producers who obtain, by winemaking on their premises using products bought in, less than 10 hectolitres of wine which has not been or will not be marketed in any form whatsoever shall not be required to submit a production declaration. 3. Exemption from the obligation to submit a production declaration shall also be granted to harvesters belonging to or associated with a cooperative winery that is required to submit a declaration, who deliver their production of grapes to that winery but reserve the right to obtain by winemaking a quantity of wine of less than 10 hectolitres for their family consumption. 4. In the case of natural or legal persons or groups of such persons who market products upstream of wine, the Member States shall take the necessary measures to ensure that producers required to submit declarations are able to obtain the various data that they must give in the declarations. 1. Member States may lay down that natural or legal persons or groups of such persons, including cooperative wineries, who, before the date specified in Article 16(1), have treated and/or marketed products upstream of wine for the current wine year shall submit a treatment and/or marketing declaration to the competent authorities. 2. Exemption from the obligation to submit a treatment and/or marketing declaration shall be granted to harvesters belonging to or associated with a cooperative winery that is required to submit a declaration, who deliver their production of grapes to that winery but reserve the right to obtain by winemaking a quantity of wine of less than 10 hectolitres for their family consumption. Natural or legal persons or groups of such persons other than private consumers and retailers shall submit each year to the competent authorities in the Member States a stock declaration for grape must, concentrated grape must, rectified concentrated grape must and wine which they hold at 31 July, containing at least the information set out in Annex V. Community wine products produced from grapes harvested during the same calendar year shall not be included in this declaration. However, Member States whose annual wine production does not exceed 50 000 hectolitres may exempt traders other than retailers who hold small stocks from the obligation to make the declarations provided for in the first subparagraph, provided that the competent authorities are in a position to give the Commission a statistical assessment of those stocks held in the Member State. 1. Member States shall draw up the model forms for the various declarations and shall ensure that the said forms contain at least the information specified in Annexes II, III, IV and V.
The forms may be issued and used using computerised systems in accordance with any detailed rules laid down by the competent authorities in the Member States. 2. The forms referred to above need not include an explicit reference to the area if the Member State is able to determine this with certainty from the other information contained in the declaration, such as the area in production and the total harvest of the holding, or from information in the vineyard register. 3. The information contained in the declarations referred to in paragraph 1 shall be centralised at national level. By way of derogation from Articles 8 and 9 of this Regulation and from Annexes II and IV thereto, Member States which have, in accordance with Article 108 of Regulation (EC) No 479/2008, established an annually updated vineyard register or similar administrative control instrument may exempt the natural or legal persons, groups of such persons or harvesters referred to in those Articles from the obligation to declare the area. In such cases the competent authorities of the Member States shall themselves complete the declarations by indicating the area on the basis of the data in the vineyard register. 1. Member States whose wine-growing area does not exceed 500 hectares and which have obtained some of the information to be included in the declarations referred to in Articles 8, 9 and 10 from other administrative instruments may omit that information from those declarations. Member States whose wine-growing area does not exceed 500 hectares and which have obtained all of the information to be included in the declarations referred to in Articles 8, 9 and 10 from other administrative instruments may exempt operators from submitting one or other of those declarations. 2. Member States whose wine production does not exceed 50 000 hectolitres per wine year and which have obtained some of the information to be included in the declarations referred to in Article 11 from other administrative instruments may omit that information from those declarations. Member States whose wine production does not exceed 50 000 hectolitres per wine year and which have obtained all of the information to be included in the declarations referred to in Article 11 from other administrative instruments may exempt operators from submitting those declarations. 3. Member States which have a computerised system with which a link can be established between declarants, declared production and the vineyard parcels concerned can exempt producers from the requirement to indicate the parcel codes provided for in Annex II drawn up in accordance with Article 8. A link can, in particular, be established by means of the code for the wine-growing unit, reference to a block of parcels or a reference in the vineyard register. 1. To convert quantities of products other than wine into hectolitres of wine, Member States may set coefficients that may vary according to different objective criteria having a bearing on the conversion. Member States shall communicate the coefficients to the Commission along with the summary provided for in Article 19(1). 2. The quantity of wine to be entered in the production declaration provided for in Article 9 shall be the total quantity obtained on completion of the principal alcoholic fermentation, including the wine lees. 1. The declarations referred to in Articles 8 and 9 shall be submitted not later than 15 January. However, Member States may set an earlier date or dates. They may also set a date at which the quantities held are taken into account in making declarations. 2. The declarations referred to in Article 11 shall be submitted not later than 10 September in respect of quantities held at 31 July. However, Member States may set an earlier date or dates. Member States shall introduce any inspections and measures necessary to ensure the accuracy of the declarations. 1. Persons required to submit harvest, production or stock declarations who do not submit such declarations by the dates specified in Article 16 of this Regulation shall not benefit, except in cases of force majeure, from the measures provided for in Articles 12, 15, 17, 18 and 19 of Regulation (EC) No 479/2008 for the wine year in question or the following wine year. However, if the dates set down in Article 16 of this Regulation are exceeded, but not by more than 10 working days, this shall result only in a proportional reduction in the percentage of the amounts to be paid for the wine year in question laid down by the competent body in accordance with the deadline, without prejudice to the imposition of national penalties. 2. Except in the case of force majeure, when the declarations provided for in paragraph 1 are deemed to be incomplete or inaccurate by the competent authorities of the Member States, and when knowledge of the missing or inaccurate information is essential for proper application of the measures laid down in Articles 12, 15, 17, 18 and 19 of Regulation (EC) No 479/2008, the aid to be paid shall be reduced proportionately by an amount set by the competent body depending on the seriousness of the infringement, without prejudice to national penalties. not later than 15 March, the final report on the wine year before the previous wine year. 2. Those reports shall be sent to Eurostat, the Statistical Office of the European Communities. Member States shall notify the Commission of any important new facts likely to alter substantially the estimate of available quantities and quantities used based on final data for past years. by 1 August 2009, the public information sources they consider credible for the recording of prices. Member States shall ensure that the Commission has the right to publish the figures in the information sources referred to in point (b) of the first subparagraph. Member States shall make a limited selection of the markets to be monitored, identifying a total of eight of the most representative quotations for white and red wine produced on their territories. The prices shall be those for unpacked goods ex-producer’s premises and shall be expressed in euro per degree-hectolitre or per hectolitre. This Regulation shall not affect any provisions of Member States on harvest, production, treatment and/or marketing or stock declarations which provide for the supply of fuller information, in particular by covering a wider range of persons than those provided for in Articles 8, 9 and 11.
the rules for certifying the origin of wines with a protected designation of origin (PDO) or a protected geographical indication (PGI) in the documents accompanying consignments of those wines. 2. This title also lays down rules on the keeping of entry and withdrawal registers by persons holding wine products in the course of their business. ‘bottler’ shall mean a natural or legal person or a group of such persons carrying out bottling or having bottling carried out on their behalf. In applying point (b) of the first paragraph, Member States shall consider the average annual production level over at least three consecutive wine years. Member States need not consider producers who buy fresh grapes or grape must to process them into wine to be small producers. Notwithstanding the possible use of computerised procedures, all natural or legal persons, groups of persons, including traders who do not hold stocks, who have their domicile or registered place of business within the customs territory of the Community and who transport a wine product or have a wine product transported shall draw up on their own responsibility a document to accompany that consignment, hereinafter called ‘the accompanying document’. for products not subject to the movement formalities laid down by Directive 92/12/EEC, including where appropriate wine produced by small producers, any document containing as a minimum the information referred to in point C of Annex VI, as well as any additional information required by the Member States, drawn up in accordance with this Regulation. where transport begins and ends on their territory, Member States may waive the requirement that the accompanying document be divided into boxes and that the information be numbered as in the model set out in Annex VII. samples for an official agency or laboratory. In exceptional cases, the 40 km maximum distance laid down in point (a)(i) of the first paragraph may be increased to 70 km by the competent authorities. In the case of exemption from the requirement to provide any document to accompany the consignments referred to in point (b)(i) to (v) of the first paragraph, consignors other than retailers or private individuals disposing from time to time of the product to other private individuals must be able at any time to prove the accuracy of all the entries laid down for the registers provided for in Chapter III or other registers required by the Member State concerned. 1. The accompanying document shall be regarded as having been duly drawn up when it contains the information set out in Annex VI. 2. The accompanying document may be used only for a single consignment. 3. The accompanying documents referred to in Article 24(1)(b) and (2) may be drawn up and supplied by electronic means in accordance with the procedures adopted by the competent authorities of the Member States. The content of the accompanying documents shall be the same regardless of whether they are drawn up in an electronic medium or on paper. 1. Where the consignee is established outside the customs territory of the Community, the original of the document accompanying the consignment and one copy, or where appropriate copies 1 and 2, shall be presented in support of the export declaration at the competent customs office of the exporting Member State. The customs office shall ensure that the type, date and number of the document presented are indicated on the export declaration, and that the type, date and number of the export declaration are indicated on the original of the accompanying document and on the copy, or, where appropriate, on the two copies of the accompanying document. The customs office from where the products leave the customs territory of the Community shall enter one of the indications set down in Annex IX on the two copies mentioned above, and stamp them as authentic. It shall hand the stamped copies bearing the relevant indication to the exporter or his representative. The latter must ensure that a copy accompanies the exported product. 2. The references mentioned in the first subparagraph of paragraph 1 shall specify at least the type, date and number of the document and, as regards the export declaration, the name and address of the authority competent as regards exports. 3. Wine products which are temporarily exported under the outward processing arrangements provided for in Council Regulation (EEC) No 2913/92 (14) and Commission Regulation (EEC) No 2454/93 (15) to one of the Member States of the European Free Trade Association (EFTA) to undergo storage, ageing and/or packaging operations shall be accompanied, in addition to the accompanying document, by the information sheet laid down by the recommendation of the Customs Cooperation Council of 3 December 1963. This sheet shall show in the boxes reserved for the description of the product, the description in accordance with Community and national rules and the quantities of wine carried. This information shall be taken from the original of the accompanying document under cover of which the wine was transported to the customs office where the information sheet is issued. The type, date and number of the document referred to above which accompanied the consignment previously shall also be noted on the information sheet. Where the products referred to in the first subparagraph are being brought back into the customs territory of the Community, the information sheet shall be duly completed by the competent EFTA customs office. That document shall be regarded as equivalent to the accompanying document for transport as far as the customs office either of destination in the Community or of release for consumption, provided that the document contains, in the box ‘Description of goods’, the information specified in the first subparagraph. The relevant customs office in the Community shall stamp a copy or photocopy of the document provided by the consignee or his representative and return it to him for the purposes of this Regulation. 4. For wines with a protected designation of origin (PDO) or a protected geographical indication (PGI) exported to third countries under cover of an accompanying document in accordance with this Regulation, the said document must be presented in support of any other documents, to the satisfaction of the competent authority, when such wines are placed in free circulation in the Community, where the wine in question does not meet the conditions in paragraph 3 or constitute goods returned within the meaning of Regulations (EEC) No 2913/92 and (EEC) No 2454/93. 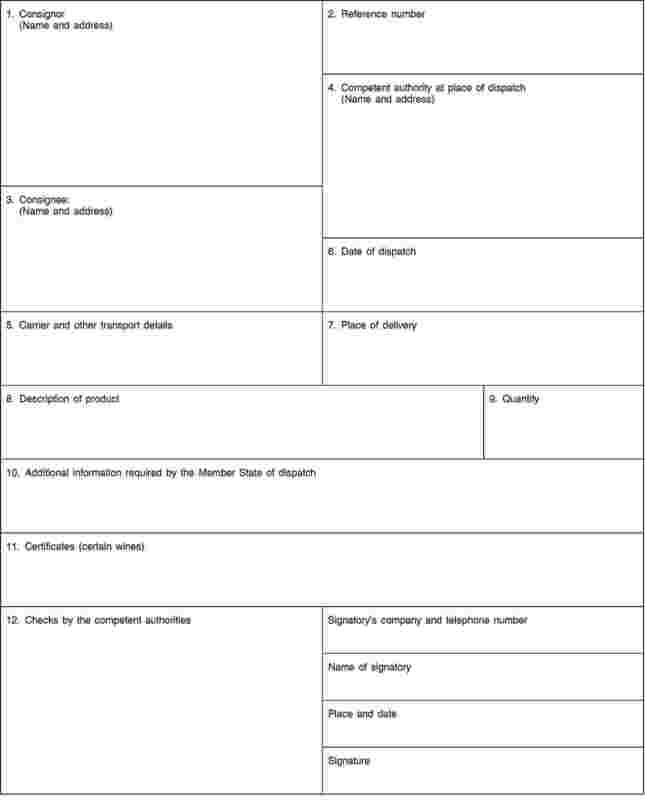 Provided that the supporting documents are deemed satisfactory, the customs office concerned shall endorse a copy or photocopy of the certificate of protected designation of origin or geographical indication supplied by the consignee or his representative and return it to him for the purposes of this Regulation. 1. Where an accompanying document is completed to accompany a consignment of a wine product in containers of a nominal volume of more than 60 litres, the reference number of the document must be assigned by the competent authority whose name and address are indicated thereon. That authority may be a tax inspection body. The condition referred to in (b) may be dispensed with if a computerised system is used. by the consignor by means of the prescribed stamp or the mark of a stamping machine approved by the competent authority referred to in point (a). 4. Where an accompanying administrative document or commercial document complying with Regulation (EEC) No 2719/92 or a simplified accompanying document or commercial document complying with Regulation (EEC) No 3649/92 is used, copies 1 and 2 shall be validated beforehand in accordance with the procedure laid down in paragraph 3.
liqueur wine for the preparation of products not falling within CN code 2204.
products which may not be offered or supplied for direct human consumption. The consignor shall forward the copy referred to in the first subparagraph by the swiftest method, not later than the first working day after that on which the goods leave the place of loading, to the competent authority within whose territory the place of loading is situated. The competent authority shall forward the copy by the swiftest method, not later than the first working day after that on which it is presented, or issued if the competent authority completes it, to the competent authority within whose territory the place of unloading is situated. the name and address of the authority of the third country having completed the document or authorised its completion by a producer. the name and address of the competent authority referred to on the documents under cover of which the product was transported before being reconsigned and in which the designation of origin or geographical indication has been certified. 2. A Member State may make it compulsory to certify a protected designation of origin or geographical indication in the case of wines produced on its territory. is validated by the consignors themselves by means of a special stamp authorised by the competent authority and complying with the model set out in Annex VIII; the stamp may be pre-printed on the forms where printing is carried out by a printer approved for that purpose. 4. The authorisation referred to in paragraph 3 shall be granted only to consignors who habitually dispatch wines with a PDO or PGI, after it has been verified, following an initial request, that the entry and withdrawal registers are kept in accordance with Chapter III and thus enable the accuracy of the particulars in the documents to be checked. The competent authorities may refuse to authorise consignors not offering such guarantees as those authorities consider appropriate. They may cancel the authorisation, in particular where consignors no longer meet the requirements laid down in the first subparagraph or no longer offer the guarantees required. 5. Consignors to whom the authorisation referred to in paragraph 3 is granted shall be obliged to take all necessary steps to safeguard the special stamp or the forms bearing the stamp of the competent authority or the special stamp. the name and address of the authority referred to in paragraph 1 indicated on the documents under cover of which the product was transported before being exported and on which the protected designation of origin or geographical indication has been certified. 7. The accompanying document shall be considered to certify the designation of origin or geographical indication of a third country in the case of imported wine where the said document is completed in accordance with this article using one of the models referred to in paragraph 1(c)(i). Where all or part of a product transported under cover of an accompanying document is refused by the consignee, the latter shall write the words ‘refused by the consignee’ on the back of the document, together with the date and the consignee’s signature, plus, where appropriate, an indication of the quantity refused, in litres or kilograms. In that case the product may be returned to the consignor under cover of the same accompanying document or may be kept on the premises of the carrier until a new document is completed to accompany the product when it is redispatched. 1. Where the competent authority finds that a natural or legal person or a group of such persons who transports or has transported a wine product has committed a serious infringement of Community provisions in the wine sector or national provisions adopted pursuant thereto, or where that authority has a justified reason for suspecting such an infringement, it may require the consignor to complete the accompanying document and get this validated by the competent authority for validation. Validation, when granted, may be linked to conditions on the future use of the product. It shall comprise the stamp, the signature of the official of the competent authority and the date. 2. Paragraph 1 shall also apply to the transport of products whose production conditions or composition do not comply with Community or national rules. where appropriate, to penalise any irregularities in proportion to their seriousness, in particular by applying Article 33(1). The competent authority or other agency referred to in the first subparagraph shall stamp documents corrected or completed under that provision. Regularisation of irregularities must not delay the transport operation in question for longer than is strictly necessary. In the event of serious or repeated irregularities, the authority with territorial responsibility for the place of unloading shall inform the authority with territorial responsibility for the place of loading. In the case of transport inside the Community, such information shall be communicated in accordance with Regulation (EC) No 555/2008. 2. Where it is impossible to regularise transport operations within the meaning of the first subparagraph of paragraph 1, the competent authority or the agency that discovered the irregularity shall hold up the transport. It shall inform the consignor that the transport is being held up and of the consequences incurred. These measures may include a ban on marketing the product. If during transport, by reason of force majeure or some unforeseen incident, a consignment for which an accompanying document is required must be split up or is wholly or partially lost, the carrier shall request the competent authority where the incident or the case of force majeure took place to make a statement of the facts. Wherever possible, the carrier shall also notify the competent authority nearest to the place where the incident or the case of force majeure took place to enable it to take the necessary steps to regularise the transport operation in question. 1. Natural or legal persons and groups of persons who hold wine products, for whatever professional or commercial purposes, shall be required to keep entry and withdrawal registers for those products, hereinafter called ‘registers’. 2. Member States may require traders who do not hold stocks to keep registers in accordance with the rules and procedures they shall specify. 3. Persons required to keep registers shall record the entry and withdrawal of each batch of products as referred to in paragraph 1 to or from their premises, and such of the operations specified in Article 41(1) as are carried out on their premises. Those persons must also be able to present, for each annotation in the entry and withdrawal registers of products, a document which has accompanied the relevant consignment or any other supporting document, in particular a commercial document. those selling drinks for consumption only on the premises. 2. Recording in a register shall not be required for wine vinegar. 3. Member States may provide that natural and legal persons and groups of persons who hold stocks of or offer for sale solely wine products in small containers meeting the presentation requirements referred to in Article 25(b)(i) are not required to keep registers, provided that the entries, withdrawals and stocks may be checked at any time on the basis of other supporting documents, in particular commercial documents used for financial accounts. or consist of a suitable modern accounting system, approved by the competent authorities, provided that the particulars which should be entered in the registers appear therein. the registers kept by producers may take the form of annotations on the reverse side of the harvest, production or stock declarations provided for in Title II. 2. The registers shall be kept separately for each undertaking, on the premises where the products are held. for the registers to be kept by a specialist firm. Where retail stores which sell direct to the end user form part of one and the same undertaking and are supplied by one or more central warehouses belonging to that undertaking, such central warehouses shall, without prejudice to Article 37(3), be subject to the obligation to keep registers; deliveries to the said retailers shall be entered in such registers as withdrawals. each varietal wine without a PDO/PGI and products intended for processing into such a wine. Wines with a PDO of different origins put up in containers of no more than 60 litres labelled in accordance with Community provisions, that are acquired from a third party and held with a view to sale may be entered in the same account provided that the competent authority or any agency or body empowered by that authority has given its agreement and that entries and withdrawals of each wine with a PDO appear therein individually; the same shall apply to wines with a PGI. Loss of the use of the protected designation of origin and of the geographical indication must be recorded in the registers. any accidental changes in the volume of products. a reference to the document which accompanies or accompanied the consignment in question. 2. For the wines referred to in paragraphs 1 to 9, 15 and 16 of Annex IV to Regulation (EC) No 479/2008, the entry in the registers kept by the operators shall contain the optional particulars set out in Article 60 of the said Regulation provided that they are shown on the labelling or that it is planned to show them on the labelling. The compulsory particulars referred to in paragraph 1 may be replaced in the register kept by persons other than the producer by the number of the accompanying document and by the date on which it was drawn up. 3. The containers for storing the products referred to in paragraph 2 shall be identified in the registers and their nominal volume indicated. The containers concerned shall also bear the relevant particulars provided for by the Member States to permit the body responsible for control to identify their contents using the registers or the documents that replace those registers. However, in the case of containers of 600 litres or less, filled with the same product and stored together in the same lot, the lot as a whole may be marked rather than the individual containers, provided that it is clearly separated from other lots. 4. In the cases referred to in Article 31(6), a reference to the document under cover of which the product was previously transported shall be entered in the register of withdrawals. addition of sulphur dioxide, potassium bisulphite, or potassium metabisulphite. Where an undertaking is granted authorisation to keep simplified registers as referred to in (c) of the first sub-paragraph of Article 38(1) of this Regulation, the competent authority may accept duplicates of the declarations as provided for in point D(4) of Annex V to Regulation (EC) No 479/2008 as equivalent to entries in the registers for the operations of increasing alcoholic strength, acidification and de-acidification. in the case of contract bottling, the name and address of the bottler. Where a product changes category without undergoing one of the operations referred to in the first subparagraph of paragraph 1, in particular in the case of fermentation of grape must, the quantities and the type of product obtained after the change shall be noted in the registers. the number of bottles obtained, specifying where appropriate the type of sparkling wine, using a term relating to its residual sugar content, provided the term appears on the label. the type and volume of the product added. The keeping of individual registers or accounts shall not provide exemption from the declarations referred to in point D(4) of Annex V to Regulation (EC) No 479/2008. where appropriate, the name or business name and address of the consignee. Member States shall determine the maximum acceptable percentages for losses from evaporation during warehousing, processing operations or changes in product category. in the cases referred to in the first subparagraph, the maximum percentages set by the Member States. The competent body referred to in the second subparagraph shall take the necessary measures to investigate the losses. referred to in Article 43, shall be made, in the case of entries and withdrawals, not later than the working day following receipt or dispatch and, in the case of use, on the day of use. However, Member States may authorise longer deadlines not exceeding 30 days, particularly where computerised registers are used, provided that a check can still be made on entries, withdrawals and the operations referred to in Article 41 at any time on the basis of other supporting documents and that these documents are considered reliable by the competent authority or an agency or a body empowered by that authority. 2. By way of derogation from the first subparagraph of paragraph 1 and subject to any provisions adopted by the Member States pursuant to Article 47(1)(j) and (k), consignments of the same product may be entered in the withdrawal register in the form of a monthly total where the product is put up solely in the containers referred to in Article 25(b)(i). Once a year, on a date which may be set by the Member States, the entry and withdrawal registers must be closed (annual balance sheet). An inventory of stocks must be drawn up in the context of the annual balance sheet. Existing stocks must be recorded as an entry in the registers at a date following the annual balance sheet. If the annual balance sheet shows differences between the theoretical stocks and the actual stocks, this must be noted in the closed books. provide, where Article 33(1) is applied, that the competent authority may keep the registers itself or entrust the task to a body empowered to that end. In particular, in the case referred to in point (j), Member States may require that separate accounts be kept on the registers for specified products or that separate registers be kept for certain categories of product or for certain operations specified in Article 41(1). 2. Without prejudice to Directive 92/12/EEC, Member States may not prohibit or hinder the movement of products put up in containers of a nominal capacity of not more than five litres as referred to in Article 25(b)(i) on grounds relating to the closing devices used. However, Member States may, for products put up in their own territory, prohibit the use of certain closing devices or types of packaging or make the use of such closing devices subject to certain conditions. 1. Without prejudice to any more stringent provisions which may have been adopted by Member States for the application of their legislation or national procedures laid down for other purposes, the accompanying documents and copies required must be kept for at least five years from the end of the calendar year during which they were completed. 2. The registers and the documents concerning the operations entered therein must be kept for at least five years after the accounts to which they refer have been closed. Where one or more accounts in a register relating to insignificant quantities of wine are not yet closed, such accounts may be carried over to another register, provided reference is made to such carry-over in the original register. In this case, the period of five years referred to in the first subparagraph shall begin on the day of the carry-over. where appropriate, the name and address of any bodies empowered by a competent authority for the purposes of implementing this title. the measures they have taken to implement this title, where those measures are of specific value for the purposes of cooperation between Member States as referred to in Regulation (EC) No 555/2008. 3. The Commission shall draw up and keep up-to-date a list containing the names and addresses of the competent bodies and authorities based on information communicated by the Member States. The Commission shall publish that list on the internet. 1. Without prejudice to any specific provisions of this Regulation, Member States shall take all measures necessary to ensure that they are able to meet the deadlines for communication set out in this Regulation. 2. Member States shall retain the information recorded under this Regulation for at least five wine years following the one during which it was recorded. 3. The communications requested in this Regulation shall not prejudice the Member States’ obligations laid down in Regulation (EEC) No 357/79 on statistical surveys of areas under vines. Any communication, claim or request made to a Member State under this Regulation may be adjusted at any time after its submission in cases of obvious errors recognised by the competent authority. The penalties provided for in this Regulation shall not be imposed in cases of force majeure or exceptional circumstances within the meaning of Article 31 of Council Regulation (EC) No 73/2009 (16). Regulations (EEC) No 649/87, (EC) No 884/2001 and (EC) No 1282/2001 are repealed. References to the repealed Regulations shall be construed as references to this Regulation and shall be read in accordance with the correlation tables set out in Annex X. Done at Brussels, 26 May 2009. (1) OJ L 148, 6.6.2008, p. 1. (2) OJ L 179, 14.7.1999, p. 1. (3) OJ L 208, 31.7.1986, p. 1. (4) OJ L 62, 5.3.1987, p. 10. (5) OJ L 170, 30.6.2008, p. 1. (6) OJ L 54, 5.3.1979, p. 124. (7) OJ L 176, 29.6.2001, p. 14. (8) OJ L 76, 23.3.1992, p. 1. (9) OJ L 128, 10.5.2001, p. 32. (10) OJ L 141, 30.4.2004, p. 18. (12) OJ L 276, 19.9.1992, p. 1. (13) OJ L 369, 18.12.1992, p. 17. (15) OJ L 253, 11.10.1993, p. 1. (16) OJ L 30, 19.1.2009, p. 16. Identity of the wine grower (compatible with the single system to record the identity of each farmer referred to in Article 15(1)(f) of Regulation (EC) No 73/2009). List and location of the vineyard parcels cultivated (identification compatible with the identification system for agricultural parcels referred to in Article 15(1)(b) and Article 17 of Regulation (EC) No 73/2009). Planting rights allocated but not yet used and replanting rights held (information compatible with the communications referred to in Article 74 of Regulation (EC) No 555/2008 and in Table 15 of Annex XIII thereto). Identification of the vineyard parcel: the identification system for vineyard parcels should be established on the basis of maps or land registry documents or other cartographic references. Use should be made of computerised geographical information system techniques including preferably aerial or spatial orthoimagery, with a homogenous standard guaranteeing accuracy at least equivalent to cartography at a scale of 1:10 000.
wine-growing area expressed in terms of pure crop (for the purposes of conversion, use should be made of appropriate coefficients determined by the Member State). Wine grape varieties cultivated, corresponding estimated areas and proportions in the vineyard parcel concerned (information compatible with the communications referred to in Article 74 of Regulation (EC) No 555/2008 and in Table 16 of Annex XIII thereto). Area planted without a corresponding planting right after 31 August 1998 (information compatible with the communications referred to in Article 58 of Regulation (EC) No 555/2008 and in Tables 2 and 3 of Annex XIII thereto). Area resulting from unlawful plantings carried out before 1 September 1998 (information compatible with the communications referred to in Article 58 of Regulation (EC) No 555/2008 and in Tables 4 to 7 of Annex XIII thereto). Area of new planting rights (information compatible with the communications referred to in Article 61 of Regulation (EC) No 555/2008 and in Table 8 of Annex XIII thereto). Planted area accepted for a grubbing-up premium (information compatible with the communications referred to in Article 73 of Regulation (EC) No 555/2008 and in Table 11 of Annex XIII thereto). Area which has been grubbed up and has benefited from the corresponding premium (information compatible with the communications referred to in Articles 68 and 73 of Regulation (EC) No 555/2008 and in Table 12 of Annex XIII thereto). Planted area which has been restructured or converted in accordance with Article 11 of Regulation (EC) No 479/2008 (information compatible with the communications referred to in the tables in Annexes VII and VIIIa to Regulation (EC) No 555/2008). Planted area which has been the subject of green harvesting in accordance with Article 12 of Regulation (EC) No 479/2008 (information compatible with the communications referred to in the tables in Annexes VII and VIIIb to Regulation (EC) No 555/2008). Year of planting or, failing that, estimated age of the vineyard parcel concerned (information compatible with Regulation (EEC) No 357/79). Harvest declaration (information compatible with the harvest declarations referred to in Article 8 and in the tables in Annexes II and III). Production declaration (information compatible with the production declarations referred to in Article 9 and in the table in Annex IV). Stock declaration (information compatible with the stock declarations referred to in Article 11 and in the table in Annex V). Identity of any natural or legal person or group of such persons required to make the production declaration provided for in Article 9. Total area planted with vines that is not included in the wine grower file, as provided for in Article 3(1)(b) of this Regulation. (1) The aggregate quantities of grapes delivered or sold by the declarant should be indicated. Details of those deliveries or sales should be given in Annex III. (2) The area to be entered in the declaration is the area under vines in production in the administrative unit determined by the Member State. (3) ‘Other wines’ means wines obtained from grapes of varieties listed in the classification of vine varieties drawn up by Member States in accordance with Article 24 of Regulation (EC) No 479/2008, where applicable, for the same administrative unit as both wine grape varieties and, as the case may be, table grape varieties, varieties for the production of dried grapes or varieties for the production of wine spirits. PDO - protected designation of origin; PGI - protected geographical indication; r/r – red/rosé: w – white. (1) For cooperative wineries, the list of members who deliver their entire harvest should be separate from that of the other members. (2) Grapes, grape must (concentrated must, rectified concentrated must, partially fermented must), new wines still in fermentation. (3) All products of the wine year other than those declared in the preceding columns and concentrated must and rectified concentrated must held at the time of declaration should be declared under this heading. Quantities should be entered by product category. (4) Including partially fermented must but excluding concentrated must and rectified concentrated must. (5) Including new wines still in fermentation. (1) Including quality wines psr. (2) Including table wines with a geographical indication. (3) Including table wines without a geographical indication. (4) All wines other than those declared in the preceding lines should be declared under this heading. Quantities should be entered by product category. (5) Including grape must, partially fermented grape must and partially fermented grape must extracted from raisined grapes. An accompanying document must filled in legibly in indelible characters. The document must not contain any erasures or overwritten words. The accompanying document may not be used if any errors are made in completing it. Any prescribed copy of an accompanying document shall be marked ‘copy’ or shall bear an equivalent marking. Where a document completed in accordance with the model in the Annex to Regulation (EEC) No 2719/92 (administrative document or commercial document) or with the model in the Annex to Regulation (EEC) No 3649/92 (simplified accompanying document or commercial document) is used to accompany a wine product not subject to the formalities laid down by Directive 92/12/EEC, a diagonal line must be entered from corner to corner of boxes which do not apply. a copy shall be kept by the consignor. several batches of different categories of product provided they are put up in labelled containers with a nominal volume of not more than 60 litres and fitted with a non-reusable closing device. In the case referred to in Article 33(1) or where the document accompanying the consignment is completed by the competent authority, the document shall be valid only if carriage commences not later than the fifth working day following, as appropriate, the date of validation or the date on which it is completed. When products are transported in separate compartments of the same transport container or are mixed during carriage, a document must be completed to accompany each portion, whether transported separately or as a mixture. Such documents shall mention, in accordance with the rules laid down by each Member State, the use of the product of mixing. However, consignors or empowered persons may be authorised by Member States to complete a single accompanying document for the whole product or mixing. In such cases the competent authority shall determine how proof is to be furnished concerning the category, origin and quantity of the various loads. For the bulk transport of the wines referred to in paragraphs 1 to 9, 15 and 16 of Annex IV to Regulation (EC) No 479/2008, the product description shall contain the optional particulars set out in Article 60 of that Regulation provided that they are shown on the labelling or that it is planned to show them on the labelling. the actual alcoholic strength of the wine, excluding new wines still in fermentation, or the total alcoholic strength of new wine still in fermentation and part-fermented grape must must be expressed in % volume and 10ths of % volume. the actual alcoholic strength of grape marc and of wine lees may also be indicated (optional) and expressed in litres of pure alcohol per decitonne. This information must be expressed using the tables of equivalence recognised by the Community, contained in the rules on analysis methods. as regards the sugar content, ± 3 %. The wine-growing area in which the product transported originates must be indicated in accordance with Annex IX to Regulation (EC) No 479/2008, using the following abbreviations: A, B, C I, C II, C IIIa and C IIIb. other operations, to be specified. for a grape must originating in area CIII b which has been acidified, indicate CIII b (2). Indications regarding the wine-growing area and the operations performed must be given in addition to those regarding the description of the product and within the same field of vision. of other products in hectolitres or litres must be expressed by the symbols ‘hl’ or ‘l’. A tolerance of 1,5 % of the total net quantity may be allowed when indicating the quantity of products carried in bulk. The model for the accompanying document in Annex VII must be strictly adhered to. 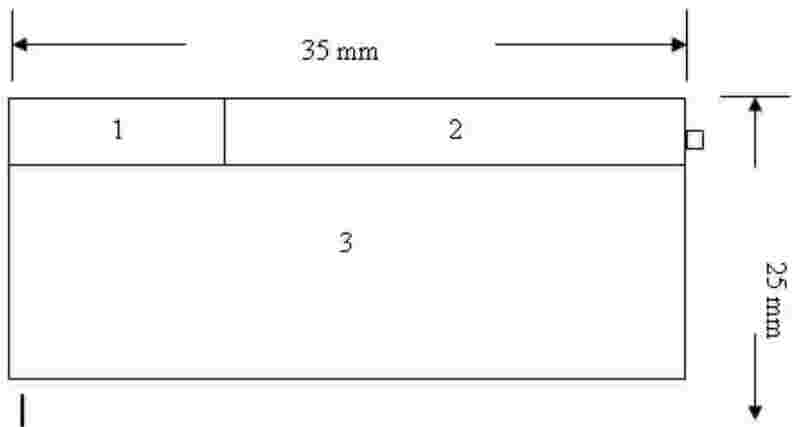 However, the sizes of the boxes marked by lines and intended for the information required are given as a guide only. (a)the type of transport used (lorry, van, tanker, motor car, railway wagon, rail tanker, aeroplane);(b)registration number or, in the case of a ship, the name (optional particulars). his name, forename or company name and address, including post code. Place of delivery: the actual place of delivery, if the goods have not been delivered to the address given for the consignee. For goods to be exported, one of the wordings given in Annex IX must be entered. The description may be continued on a separate sheet attached to each copy. A packing list could be used for this purpose. of wines with a residual sugar content of more than four grams per litre, in addition to the actual alcoholic strength, the total alcoholic strength. for packaged products, the number and nominal volume of the containers used. Additional information required by the Member State of dispatch where such information is required, the instructions of the Member State concerned must be complied with; if not, enter a diagonal line in this box. Certificate of protected designation of origin or protected geographical indication: see Article 31.